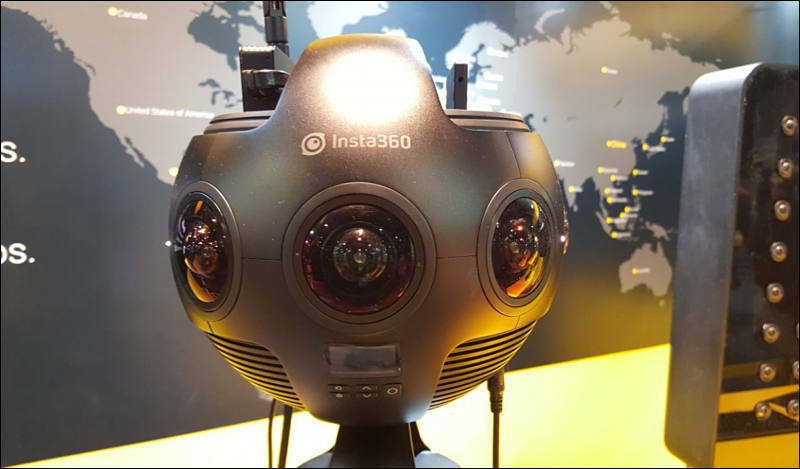 Insta360 today opened reservations for the Insta360 Titan, an eight-lens cinematic VR camera that captures 360 photos and video at up to 11K resolution. The Titan uses eight Micro Four Thirds (MFT) sensors, the largest sensors available in any standalone VR camera. These sensors maximize image quality, dynamic range, low-light performance and color depth, raising the bar for realism in high-end professional VR capture. Insta360 will show the new camera at the CES show in Las Vegas this week. The Titan is set to ship in April, following a pilot program with select filmmaker partners. Creators can reserve their Titan here today to secure a priority shipment in the first batch. 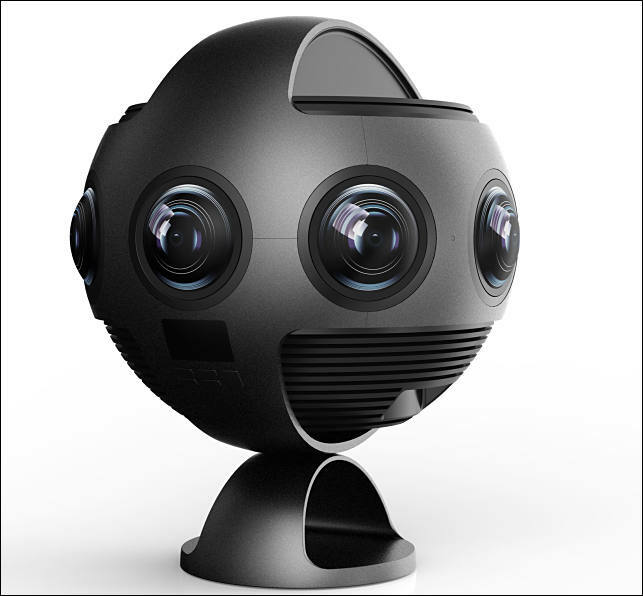 The Titan is the first standalone 360 camera ready to record in 11K. Key shooting modes include 11K at 30 FPS, 10K 3D at 30 FPS, as well as 11K 360 photos in 3D and monoscopic formats. Additional shooting modes include 8K at 60 FPS and 5.3K at 120 FPS. A sensor so good you'll want eight. 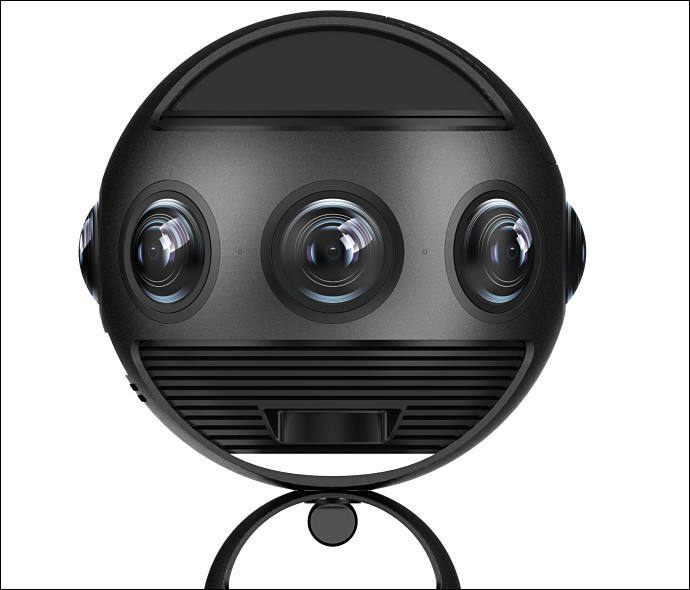 360 cameras use an array of sensors to cover every direction of the action. Most use small sensors on par with those found in smartphones or action cameras --- useful for installing in a smaller camera body but not for maximizing image quality. The Titan bucks this trend, sporting eight optimized Micro Four Thirds sensors that combine the benefits of a large sensor area with a relatively compact design. These high-performance sensors are the key to achieving a cinematic image quality that's been unattainable to VR creators until now. The Titan supports shooting in 10 bit color, allowing for billions of color combinations and extreme color accuracy, while its high dynamic range lets creators capture natural lighting and low-light scenes to achieve an unparalleled realism in VR. Make your move with FlowState Stabilization. The Titan uses Insta360's signature onboard FlowState Stabilization technology, allowing for gimbal-like 9-axis stabilization with no accessories or added effort from the user. Onboard stabilization lets creators achieve the stunning dynamic shots necessary to tell a compelling story in VR. Not in the shot. But still in the action. 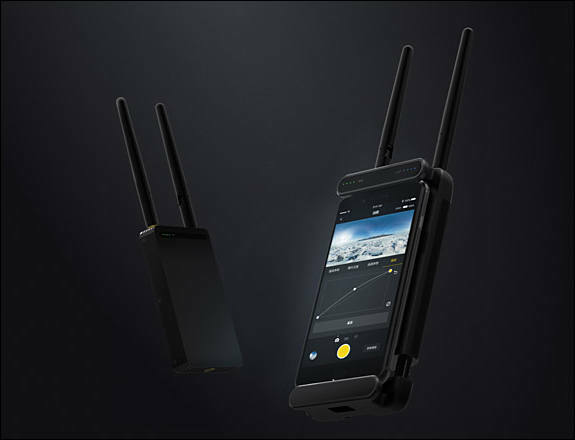 The Titan comes standard with Insta360's Farsight live monitoring system, consisting of a transmitter and a receiver that can be easily attached to a phone or tablet. Using Farsight, VR filmmakers can easily preview and control their shoots remotely. VR directors used to have to yell "action" and then jump behind a tree to avoid ruining the shot. Farsight saves them the sweat. Ultra-high-res VR content presents a distribution challenge. Most playback systems aren't ready to decode immersive video at higher than 4K, let alone 11K. CrystalView, Insta360's proprietary playback tech, lets creators deliver what they really shot. It renders in real time exactly the part of a video a viewer is watching -- with no computing power wasted on displaying what's behind their head --- so that even mainstream smartphones can play back full-quality Titan content. Starting today, VR filmmakers can reserve their Insta360 Titan and be among the first owners when the camera ships this April. The Titan is priced at $14,999 USD, and the reservation is confirmed with a fully refundable deposit.